Temperatures have started to dip into 50-degree territory. This only means that the chill is in the air and the need for a jacket and coat will continue to increase. Yes fab chicks, it’s coat check time! I hate the cold weather, but boy do I love a great jacket/coat. 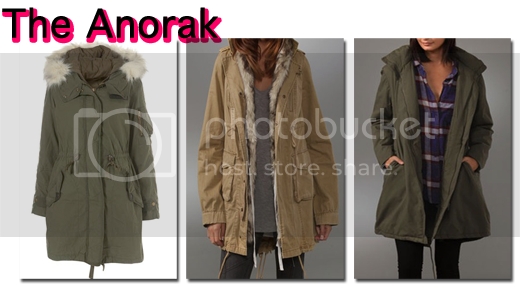 Next to buying boots for fall, I’m borderline obsessed with buying jackets and coats. I can’t help myself. I love a great over coat. I love the anorak for its simplicity and functionality. It's the perfect style for my uber-casual weekend jeans and combat boots while also adding a cool downtown twist to my daily girlie and flirty outfits. And, if I should ever decide to go camping one of these days, this style will be perfect. Last fall as a gift I received a cool cape that I didn’t wear too often. Well this year I'll be giving it ample face time. Capes are great layering pieces. I like to layer my cape with a leather jacket underneath. The leather sleeves that poke out from underneath the cape creates a cool factor and adds a bit of an edge element to the somewhat old English style. I want a shearling bomber jacket! As it gets cold, this outwear style will give you that sleek leather jacket feel while maintaining more of a warmth factor. I'm definitely in search of the perfect cropped jacket that will allow me to channel my inner aviator. 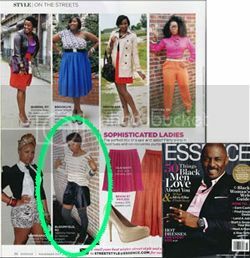 Everyone knows I’m obsessed with the military trend this season. 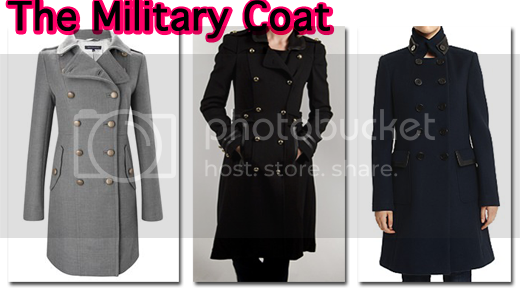 So this season I’m looking to add a military style coat to my collection. Designers have created many fab military style options reminiscent of the cold war that are tailored and offer a great alternative to the usual pea coat. 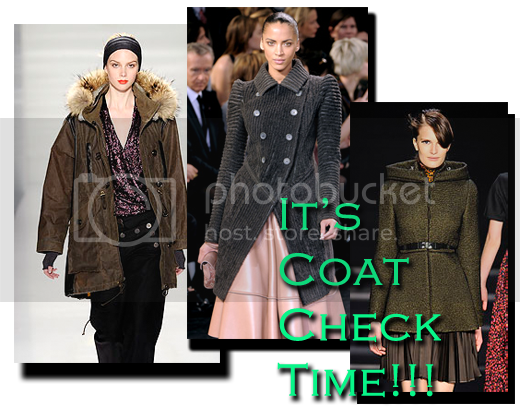 Have you performed your coat check for the fall/winter season yet? What styles are you looking to add to your wardrobe? I've got a bright royal blue DKNY cape coat and a grey H&M military style coat. I'd like to add a shearling to my mix, but I've put myself on a shopping hiatus unless it's for my new place. I'm definitely into the shearling style and I want to try the cape look. I'll definitely try your idea of wearing leather underneath!